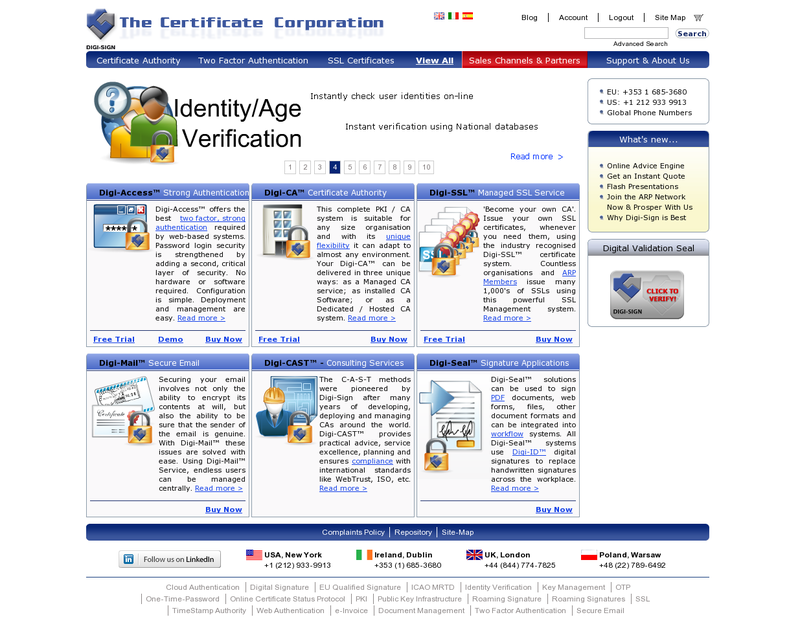 Digi-Sign is amongst the top ten providers of Digital Certificates in the world. Web Style Media, LLC developed a new corporate website with powerfull online store for Digi-Sign Ltd. Also a many custom intranet modules has been developed for online business process optimizations. This is a second version of website developed by Web Style Media, LLC for this company. Previous has been done in 2008.